March 2015 – Welcome to Daly Dose Sports- Your dose of sports and sarcasm. Daly Debate: Which tournament coach do you hate the most? Why you hate him He wins. A lot. He very well might be the Devil himself. He ruins your bracket every year. He is slowly turning into Lara Flynn Boyle. Greatest moment Winning it all in 2012. Making a deal with himself to beat UNLV in 91. Making it to the Final 4 last year and ruining your bracket He took Providence to the Final 4. Seriously. Worst moment The Nets Missing most of 95 when the Devil made him settle up. Pretty much every other year in March Madness Porcini’s 2003. Why he wins He’s probably paying his players. Flopping. Bores the other team to death with his glacier-like style. His teams are known for their stamina. Which is ironic. Episode 16 of the Daly Dose Sports Podcast is up. This week Clint previews college basketball’s Sweet 16 and discusses some NBA news. Plus a look at the new NFL rules and the Top 5 March Madness rules that we should be following. You’re probably breaking a couple of them! 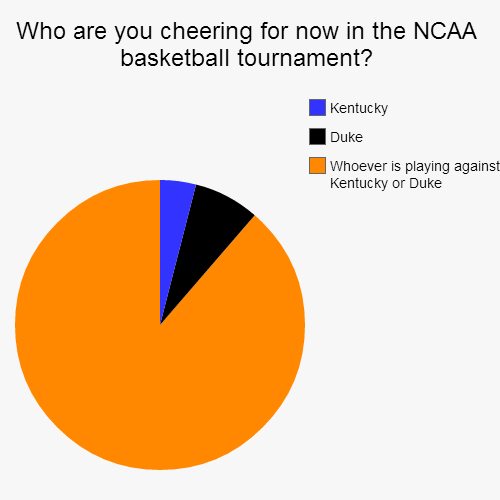 Who are you cheering for in March Madness? Two-time NBA MVP Steve Nash announced on Saturday, that due to health struggles, he will no longer be playing basketball after 19 seasons. The announcement was met with some surprise because Nash hasn’t actually been playing basketball since 2012. Instead it was the Lakers’ salary cap that was set on fire. The Lakers are currently strapped with paying Nash $9 million dollars in dead cap space. Wasn’t it tempting to stick around and collect those big checks even though he is physically incapable of playing anymore? Kentucky head coach John Calipari made a fatal error this week; forgetting to RSVP his 34-0 Kentucky Wildcats to the Big Dance. “The RSVP was sitting on the table. I had filled it out and everything I just forgot to drop it in the mailbox.” Calipari lamented. As a result Kentucky’s season comes to an end without a National Championship and millions of March Madness brackets have been ruined. Check out the latest episode of the Daly Dose Sports Podcast! I help you fill out your March Madness brackets, plus NFL news, some NBA nonsense, and the Daly Dose Top 5 looks at the top five times a #16 seed nearly beat a #1! It has been a rough season for the New York Knickerbockers. Having won just 13 games all year when the invitations were sent out for the NCAA tournament, needless to say, the Knicks did not receive one. But they had hoped to at least qualify for the NIT which plays it’s semifinal round and championship game at Madison Square Garden…the Knicks home court. “Our players are devastated, and they should be, because we feel like we are certainly deserving of an NIT berth.” Knicks President Phil Jackson told reporters. Tim Tebow has been waiting for his phone to ring but it hasn’t happened yet. Formerly a member of both the Denver Broncos and the New York Jets, Tebow has not been a member of any NFL team since the Jets cut him in 2013. Tebow has been training with Tom House to improve his passing mechanics which had been a concern for teams in the past. House has formerly worked with Patriots quarterback Tom Brady. The Dallas Cowboys made a surprising roster move that will not help sway opinions that they haven’t done well in the off-season so far. On Friday the Cowboys signed former Oakland Raider running back Darren McFadden to their injured reserve squad. The Cowboys lost two time Pro Bowl running back DeMarco Murray on Thursday when he signed a five year contract with the Philadelphia Eagles for $42 million dollars.